Live chat engagement is an impactful tool for both customer support and online sales. Both, of course, are intertwined – happy and loyal customers lead to more purchases made. During this discussion, we’d like to focus on the sales aspect of live chat engagement and the types of metrics that businesses can expect to see improve when using these platforms. Alex Bichuch, Vee24’s Director of Marketing and expert in lead generation, has some key insights to share with us. Q: When evaluating the entire customer buying journey, including research, evaluation and purchase, how does live chat engagement influence a buyer’s initial decision to move forward in the buying process? A: Customer engagement, whether that is text chat, video chat, or voice, can be the first touch point that the customer has with your business. This can either make or break your relationship with the customer. Our platform allows you to see exactly where the prospect or customer is on your site and how long they may be hovering around a certain page. This visibility gives you an opportunity to step in and proactively offer help, especially when using our proactive NudgeBOTs. The level of attentiveness and one-on-one support that agents can give through live chat has proven to lead to a 5x uplift in sales conversions. Even before a prospect visits your page and is researching different brands, you can still influence their decision to come to your site by embedding live chat into paid ads and email campaigns. Your company can give them the option to engage with a live agent from any digital channel available. As a result, our clients have increased their lead generation by up to 18x. When a customer has questions or concerns, we are available to help with just a click of a button. There’s no need to go through the process of picking up a phone, being put on hold or transferred around. Q: Once a customer is engaged with a live agent or ChatBOT, is there a clear ROI on the value of a sale? A: Absolutely. 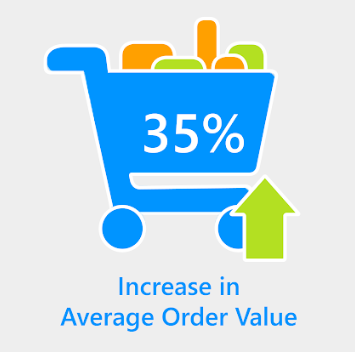 Compared to unassisted online sales, businesses see up to a 35% increase in average order value when using live engagement. Think about an online customer who is purchasing a new printer, for example. They’re likely to opt out of purchasing warranty, printer paper, or additional ink cartridges when making the purchase online and without the input of a sales assistant. When an agent is assisting a customer through the purchase, they are able to recommend upgrades and additional items to enhance the product. They can also inform the customer of special discounts or promotions. You are much more likely to see that customer walk away with a new printer, year-long warranty, spare paper and backup ink cartridges after an assisted experience versus an unassisted one. Q: Depending on the purchase, online sales can take a while to close. We’ve seen prospects revisiting a page over and over again, unsure of whether they want to move forward with the purchase. Can live chat engagement reduce sales cycle time? A: One hundred percent. Customers may be hesitant to move forward with a purchase because they need more information about some product details that aren’t provided on the site. Additionally, cart abandonment can be linked to wait times and lack of proper customer support. 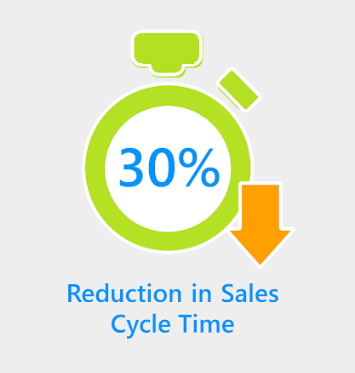 When using our live engagement platform, our clients have seen a 30% reduction in the length of sales cycles. On top of that, agents have seen a 40% reduction in average handle time and an 83% first call resolution rate. When a customer is being transferred around and can’t get in touch with a support person, they’ll get frustrated and end up abandoning their carts to visit a competitor’s site. Generally speaking, the efficiency involved with live chat results in faster closing times and more sales. To learn more about how to leverage live chat engagement to increase lead flow, please view our live webinar with Alex here!